Our client was charged with a number of drug related offences, including possession of cannabis and possession of several tablets of unknown origin and several tablets of Viagra, all under s 73 of the Drugs Poisons and Controlled Substances Act 1981. He was also charged with trafficking cannabis, methyl amphetamine and butanediol under s 71AC of the Drugs Poisons and Controlled Substances Act. Our client had a long history of addiction, spanning the greater part of his life. He started using drugs and alcohol as a young teenager and this had had unfortunate ramifications for his life ever since. Our client had been successfully clean off drugs for five years, but relapsed after a stressful family health crisis. His mother had suffered a stroke, and his coping mechanism was to relapse into drug use. He sold substances in order to fund this habit for several months. The charges arose out of allegations that our client was involved in a transaction with a man who then gave substances to an underaged girl. The girl suffered a drug overdose and later died. The client was not charged with causing the death of the girl, or anything concerning her death or overdose. However, others involved with the overdose had identified the client as the person who supplied the substances. The chargers were very serious, as the client had a significant history of both addiction and prior charges for trafficking drugs. He had also served previous sentences for identical charges and was therefore looking at a lengthy prison sentence. Through submissions to the court we were able to show that the client’s offending occurred specifically to fuel his addiction. As such, he was able to fall within the jurisdiction of the Drug Court. The Prosecution withdrew several charges, specifically related to possession of different drugs, and trafficking Butanediol. The client agreed to plead guilty to the remaining charges. 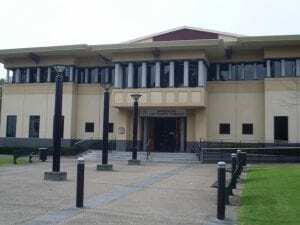 The Drug Court is a separate court list that sits within the Magistrates’ Court in the Dandenong catchment area. It is specifically designed to deal with people affected by drug addiction, whose offending can be directly attributed to that addiction. The Drug Court hands down sentences that are targeted to rehabilitate those offenders, by getting them off drugs through programs, counselling and detox. Drug Court sentences are rigorous, demanding constant clean drug screens and participation in counselling programs, otherwise the offender will be sent to complete their sentence in prison. The client had been through the Drug Court process for his prior drug offending. He had completed this process successfully and had been able to stay clean for a period of five years. We were therefore able to express that the process would be beneficial for him, as it had been shown to work positively for him before. The client was found to meet the eligibility criteria at the Drug Courts’ Screening Hearing, as his charges were serious enough to warrant a sentence of imprisonment, and he intended to plead guilty to those charges. The client then had to undertake testing and assessment for his suitability for Drug Court Programs. He was found to be suitable due to his long history of drug use, history of mental health issues and motivating factors to improve, those being his family. Upon returning to Drug Court, these reports were put to the magistrate, as well as submissions expressing his strong motivation to rid drugs from his life once again, clean drug screens that showed that he had already begun to take these steps on his own, and letters from family members and friends that spoke of his battles and determination to do better. The Prosecution did not oppose a Drug Court sentence being handed down to the client. They accepted that such an order would benefit our client and the community more than a sentence of imprisonment and would ultimately assist in preventing the client from offending. The Magistrate agreed that such a sentence was appropriate, and the client was given a Drug Treatment Order, in lieu of a 12-month imprisonment sentence. This result was immensely positive for the client. It enabled him to be able to stay at home with his family whilst he attended rehabilitation, and to undergo detox and counselling sessions aimed at educating him and helping him to recover from drug addiction. This sentence also allowed the client to continue to assist in taking care of his mother and his children, and avoid spending time in prison so long as his drug screens remained negative. With this matter, we were thorough in gathering reports on the client’s background and health circumstances. With such materials we were able to seek the best possible result, being a therapeutic order.